The practical and economical window is ideal for small rooms within the home. Single slider operates horizontally (side to side). One sash doesn't open and the other sash is operable. Single Slider includes the screen that covers half of the window which allows a clear view through the other half. The operable sash moves sideways and tilts into the room for easy cleaning purposes. 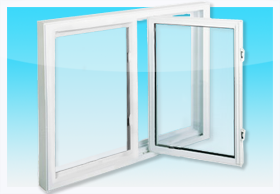 Single slider tilt comes with 3 1/4" welded frames and sashes, 7/8" thermal warm edge sealed units, sash interlock that provides good security as well as air-tightness, triple weather stripped sashes, recessed locking latches for improved appearance and Insta Lock shoes for added security.